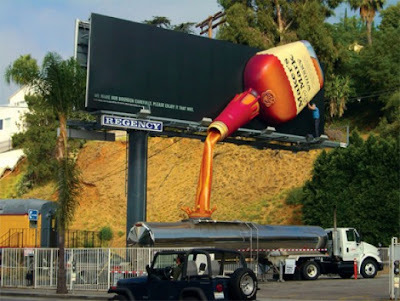 Creative and cool uses of trucks in advertisements by various companies from all over the world. 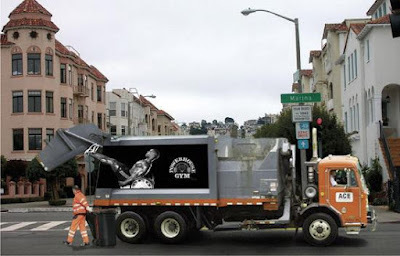 Smart Car Truck Advertisement: A Smart Fortwo on the spinning cement drums of the city cement trucks visually demonstrated its smallest turning radius and transformed the trucks into naturally rotating mobile billboards. 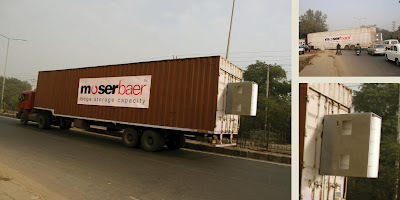 Moserbaer Truck Advertisement: To create awareness among users in India about the huge capacity of Moserbaer pen drives, big base of pen drives were attached to the trucks. 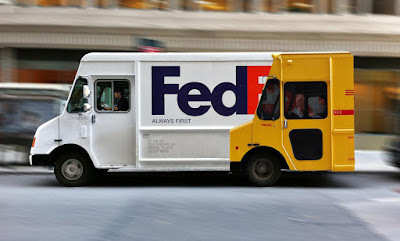 Fedex Truck Advertisement: At first look it looks like two different trucks when it is really just one; it's an actual painted truck that beautifully displays photo finish of always being first. 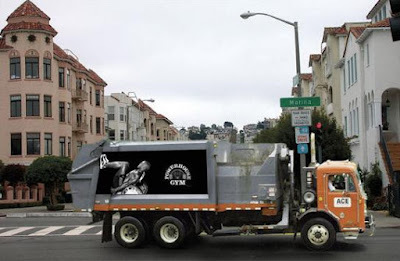 Powerhouse Gym Truck Advertisement: A cool truck advertisement of gym creates an illusion that the bodybuilder is doing the 'leg press' with the heavy door of the truck. 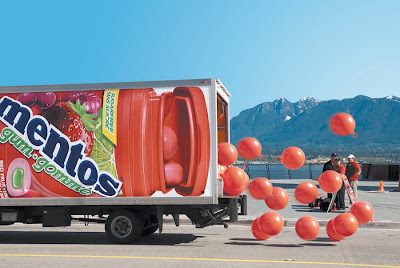 Mentos Truck Advertisement: This cool ambient truck advertisement took place in three cities: Vancouver, Toronto and Montreal. 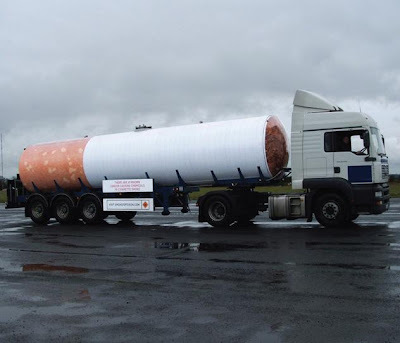 Department of Health Truck Advertisement: An actual painted tanker was driven around the UK, to create health awareness. 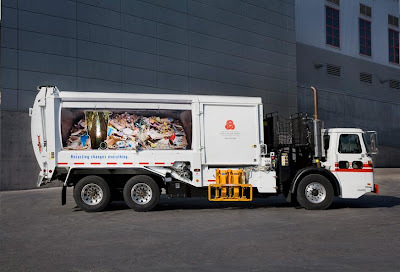 Norcal Truck Advertisement: These truck advertisements use a trompe l'oeil technique and let people "see" into the trucks. 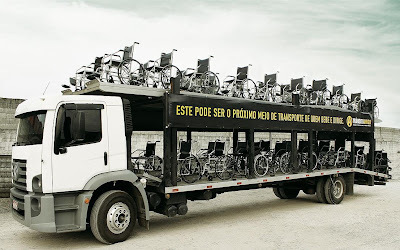 Trânsito Amigo Truck Advertisement: This truck rode through the trendy streets of Sao Paula metropolitan region with wheel chairs instead of cars in it to create awareness among the youngsters about drink and drive results. Peugeot 308 Truck Advertisement: To promote the launching of the new Peugeot 308; as a teaser two vehicle-transport trucks circulated throughout the Portugal, carrying three big "308" logotypes, matching the size of the car; and the text "It's arriving!". 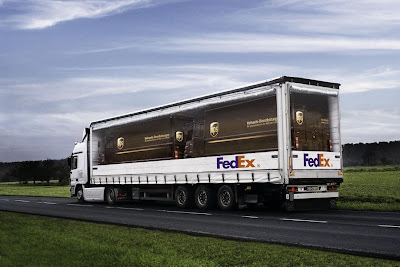 Fedex Truck Advertisement: Another brilliant truck advertisement from Fedex; this creates an optical illusion of Fedex trucks delivering its competitors trucks to their destinations. 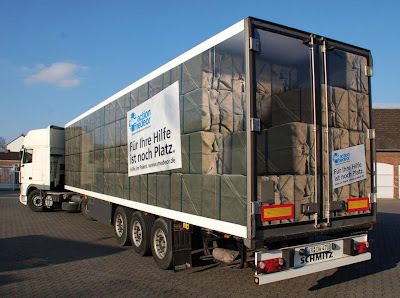 Medeor Truck Advertisement: This truck advertisement had a three-dimensional graphic suggesting that there is still space for more.